BNB Automotive,LLC Is Your Full Service Repair & Diagnostics Center for Cars,Pickups & Box Trucks. 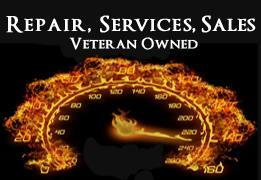 We are Veteran Owned & Operated with Over 30+ yrs. experience. We Use the Latest Diagnostic Equipment to Guarantee your Vehicle is Serviced Correctly While Maintaining the Manufacturer's Warranty. We Only Use Quality Replacement Parts For Foreign & Domestic Vehicles. Our Speciality is Diagnostics,, As Well As Repairs & Maintenance!! Integrity & Knowledge is Our Business! We offer 10% discounts to active military & veterans.